Your CSA will run for 7 weeks with 7 picks ups from when the season begins. It starts Nov 6th and ends Dec 18th. We will send a confirmation email the week before CSAs start to remind you to begin picking up your share. In the case of circumstances beyond our control (such as a long harsh winter) delaying crops, CSAs may begin later. We suggest having a friend pick it up for you if you cannot make it. Just let us know if you send a substitute. We cannot change the day or adjust the time for pick up due to the nature of fresh produce and farm work. Shares that are not picked up between 4 and 6pm on Tuesdays will be donated to charity or put to good use. You can always notify 24hrs ahead of time us if you don't need a share that week, but unfortunately there are no refunds/make ups for a missed week. In the rare incident of circumstances beyond our control blocking the majority of people from the farm (such as dangerous weather at the farm or Whites Creek Pike in front of the farm being closed), we will provide an alternative pick up date. When you purchase a CSA you are not just buying produce, you are supporting the small family farm system. You make chemical-free, sustainable farming possible. Each penny goes to support our farm and family and in turn is converted to sweat, dirt, and occasionally tears. Then, in our turn, we can support your family with beautiful natural produce. By purchasing a share you are also claiming a spot in our CSA which somebody else wanted. The payment is a nonrefundable security deposit to ensure membership goes to those who really want it. Paying ahead of time for your produce also helps us know how much seed to buy and provides the money to do so. By purchasing this CSA share you are agreeing to these terms and conditions. If you have any questions about them please contact us before purchasing. 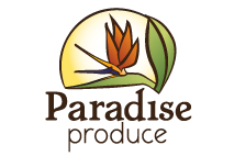 Thank you so much for supporting Paradise Produce Farm and our family! You make chemical free, sustainable farming possible. We love growing for you!